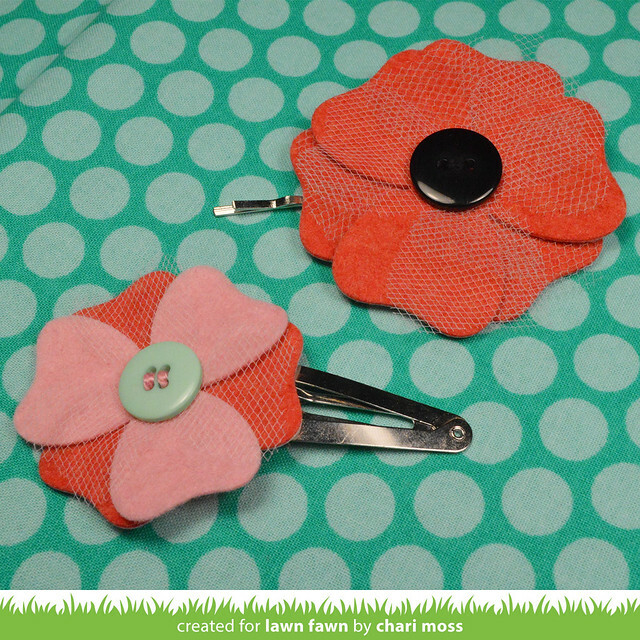 Today Lawn Fawn inspiration week continues with the die set Pretty Poppies. I used the dies to create some fun and easy hair clips! I used a fabric fuse material to stiffen up the felt and help it hold it's shape after die cut. I also cut some of the flowers from tulle to layer with the felt to add even more texture. Finally I sewed on a button for the center before glueing the whole flower to the clips. 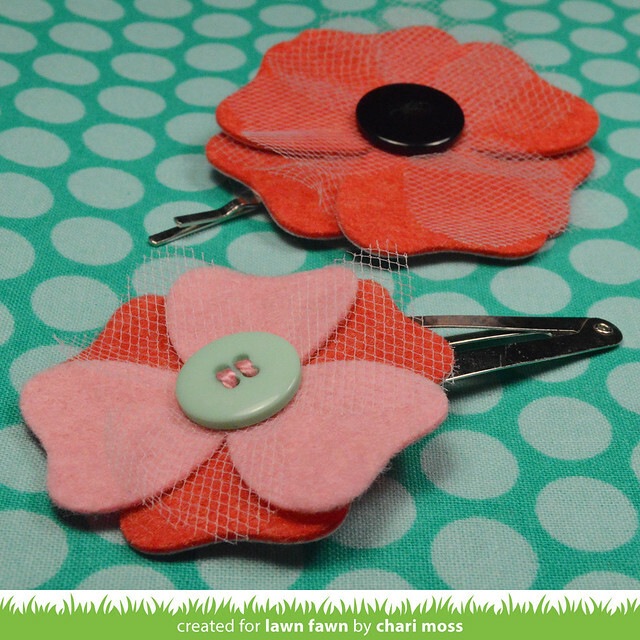 Check out the Lawn Fawn blog for more projects using these pretty poppies dies. Awesome work that is not only creative but one following your guidelines, can become easily able to have best one hair clips.